Image notes: Flowers tiny white, Leaves with very short white hairs. Habitat: Next to road in full sun. Notes: Flowers tiny white, Leaves with very short white hairs. Hyde, M.A., Wursten, B.T., Ballings, P. & Coates Palgrave, M. (2019). 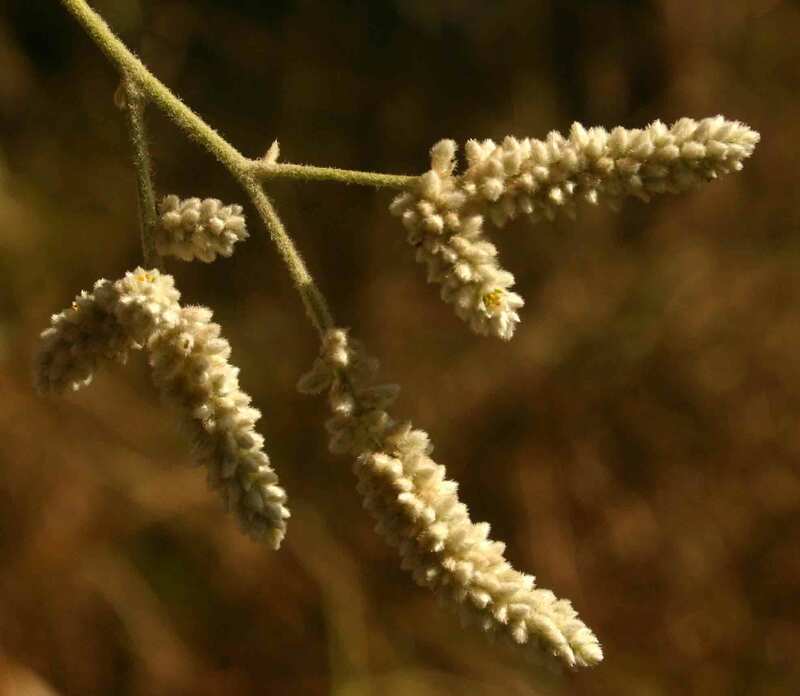 Flora of Mozambique: Species information: individual images: Aerva leucura.